Expert advice on bathtubs, with buying guides, installation and repair tips, and bathtub plumbing diagrams. When it comes to relaxing away the cares of the day, nothing beats a bathtub. In fact, considering the popularity of bathtubs in today’s homes, it’s hard to believe that they are a relatively new addition to homes around the world. Early in the 20th century, the ancestors of today’s bathtubs—claw-footed tubs—were first introduced. Though a luxury at first, bathtubs grew in popularity as prices dropped and options increased in the 1930s and beyond. The first colors were introduced in 1928, and the rest is history. Today, options in materials, colors, shapes, styles, and options are off the charts. If you are building a new bathroom or remodeling your existing one, this section of HomeTips will be a helpful guide to making informed bathtub buying decisions. Or, if you’re trying to remove scratches or discolorations, it can help you with basic repair techniques. 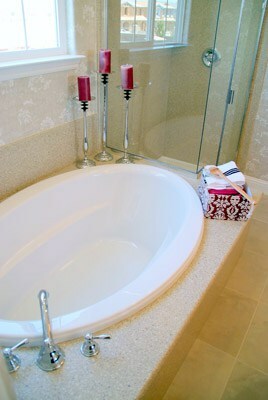 Here you will also find help with keeping your bathtub filling and draining properly.